Hey all, curious what I am reading right now? Well here's the post for that! ;) Cuz you should just KNOW by now that I'm reading more than one thing! 1. Bitten by Kelley Armstrong (14% complete)... yes I finally started it but I really need to set aside some time to just read a bigger chunk of it at a time. 2. The Warrior Heir by Cinda Williams Chima (15% complete) - I got the fourth book of the trilogy (yup you read it right) for review from Net Galley so I now have to figure out when I'm going to find time to read the first three. Getting started on it though & liking the book so far. 3. 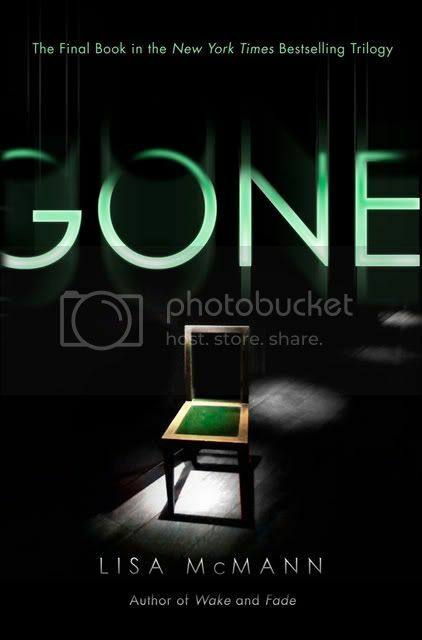 Gone by Lisa McMann (40% complete) - needed something to listen to in my car when commuting so started the audiobook of this one to finish off the trilogy. Getting the feeling this one could have had some better plot twists so far in order to tie it to the previous books better, imo. 4. etc. I also have several books I borrowed from the library, partially read, and then had to return. I hope to clean up those loose ends soon by borrowing them again and getting them finished. I also have a couple books I own that I have started e.g. Madame Tussaud by Michelle Moran, The Body in the Library by Agatha Christie, and Falling Kingdoms by Morgan Rhodes, to name a few, which I have at the moment set aside but will return to them prior to the end of the year.